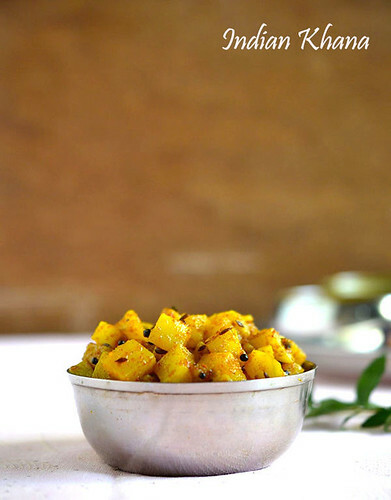 Or when I simply want to please DH without doing much effort then this is the recipe I look for he simply adore this delicious aloo sabzi and it's super fast for me too prepare. Along with aloo bhindi fry this aloo fry with ajwain paratha used to be our regular lunch box during schools days and still for travelling in our family this aloo fry and paratha is famous. So if you look for quick lunch box or travelling food options then try this potato fry with paratha or with lemon rice, tamarind rice etc. 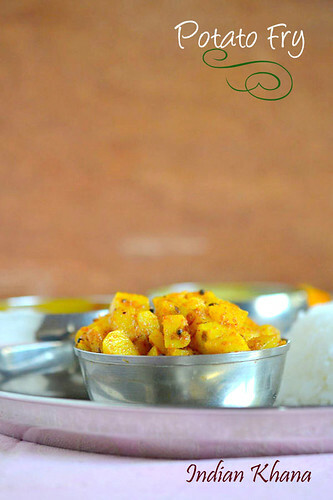 Easy and quick potato (aloo) stir fry with minimal spices. Wash, peel potatoes and dice in small pieces, rinse again 2-3 times in water, drain and keep aside. In a wok or pan heat oil add mustard, cumin seeds and allow to splutter. Add potatoes, saute, cover and cook in medium heat until half cooked, stir in intervals. 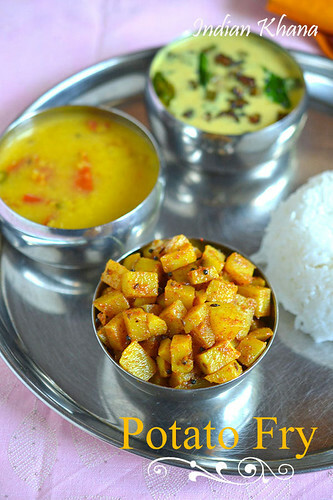 Add sambar powder, red chili powder, turmeric powder and salt, mix well, cover and cook for 4-5 minutes or until potato gets cooked fully, do stir in intervals. 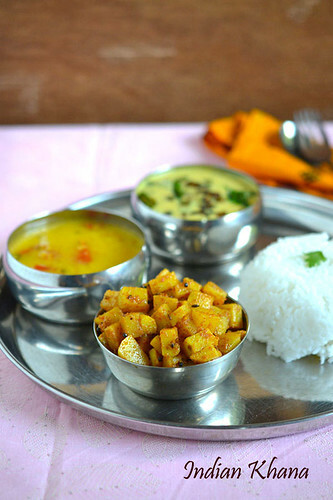 Serve hot or warm with rice, dal/sambar/rasam or with roti, paratha. If you don't have sambar powder then replace it 1/2 tsp red chili+1/2 coriander seeds powders. You can also add minced garlic, curry leaves before adding potato for added flavors.